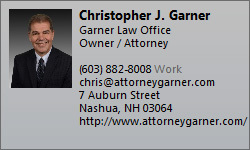 If you are considering divorce or are facing other difficult family law disputes involving parenting, support or other unresolved issues please call (603) 882-8008 or contact chris@attorneygarner.com to schedule an appointment today to learn more about how we may be able to help you. 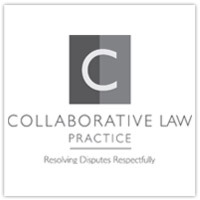 Nashua, New Hampshire and statewide collaborative divorce and family legal services providing advice and representation for all collaborative divorce, parenting, parental rights and responsibilities, paternity, custody, visitation, alimony, child support, property settlement, modification of orders, prenuptial agreements, relocation cases, grandparents rights and more. Collaborative practice designed to respectfully redefine relationships without going to Court.